This article is about the business organization. For other uses, see Coop (disambiguation). A cooperative (also co-operative; often referred to as a co-op) is a business organization owned and operated by a group of individuals for their mutual benefit. Cooperatives are defined by the International Cooperative Alliance's Statement on the Cooperative Identity as autonomous associations of persons united voluntarily to meet their common economic, social, and cultural needs and aspirations through jointly owned and democratically controlled enterprises. A cooperative may also be defined as a business owned and controlled equally by the people who use its services or by the people who work there. Cooperative enterprises are the focus of study in the field of cooperative economics. The Cloyne Court Hotel, a student housing cooperative in Berkeley, California, United States. Cooperation dates back as far as human beings have been organizing for mutual benefit. Tribes were organised as cooperative structures, allocating jobs and resources among each other, only trading with the external communities. In alpine environments, trade could only be maintained in organized cooperatives to achieve a useful condition of artificial roads such as Viamala in 1473. Pre-industrial Europe is home to the first cooperatives from an industrial context. 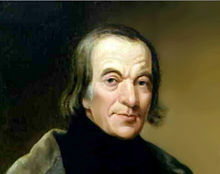 Robert Owen (1771 - 1858) was a social reformer and a pioneer of the cooperative movement. In 1761, the Fenwick Weavers' Society was formed in Fenwick, East Ayrshire, Scotland to sell discounted oatmeal to local workers. Its services expanded to include assistance with savings and loans, emigration and education. In 1810, Welsh social reformer Robert Owen, from Newtown in mid-Wales, and his partners purchased New Lanark mill from Owen's father-in-law David Dale and proceeded to introduce better labour standards including discounted retail shops where profits were passed on to his employees. Owen left New Lanark to pursue other forms of cooperative organization and develop co-op ideas through writing and lecture. Cooperative communities were set up in Glasgow, Indiana and Hampshire, although ultimately unsuccessful. In 1828, William King set up a newspaper, The Cooperator, to promote Owen's thinking, having already set up a co-operative store in Brighton. The Rochdale Society of Equitable Pioneers, founded in 1844, is usually considered the first successful cooperative enterprise, used as a model for modern co-ops, following the 'Rochdale Principles'. A group of 28 weavers and other artisans in Rochdale, England set up the society to open their own store selling food items they could not otherwise afford. Within ten years there were over 1,000 cooperative societies in the United Kingdom. In the final year of the 20th century, cooperatives banded together to establish a number of social enterprise agencies which have moved to adopt the multi-stakeholder cooperative model. In the last 15 years (1994–2009) the EU and its member nations, have gradually revised national accounting systems to "make visible" the increasing contribution of social economy organizations. The roots of the cooperative movement can be traced to multiple influences and extend worldwide. In the Anglosphere, post-feudal forms of cooperation between workers and owners, that are expressed today as "profit-sharing" and "surplus sharing" arrangements, existed as far back as 1795. The key ideological influence on the Anglosphere branch of the cooperative movement, however, was a rejection of the charity principles that underpinned welfare reforms when the British government radically revised its Poor Laws in 1834. As both state and church institutions began to routinely distinguish between the 'deserving' and 'undeserving' poor, a movement of friendly societies grew throughout the British Empire based on the principle of mutuality, committed to self-help in the welfare of working people. Friendly Societies established forums through which one member, one vote was practiced in organisation decision-making. The principles challenged the idea that a person should be an owner of property before being granted a political voice. Throughout the second half of the nineteenth century (and then repeatedly every 20 years or so) there has been a surge in the number of cooperative organisations, both in commercial practice and civil society, operating to advance democracy and universal suffrage as a political principle. Friendly Societies and consumer cooperatives became the dominant form of organization amongst working people in Anglosphere industrial societies prior to the rise of trade unions and industrial factories. Weinbren reports that by the end of the 19th century, over 80% of British working age men and 90% of Australian working age men were members of one or more Friendly Society. From the mid-nineteenth century, mutual organisations embraced these ideas in economic enterprises, firstly amongst tradespeople, and later in cooperative stores, educational institutes, financial institutions and industrial enterprises. The common thread (enacted in different ways, and subject to the constraints of various systems of national law) is the principle that an enterprise or association should be owned and controlled by the people it serves, and share any surpluses on the basis of each members' cooperative contribution (as a producer, labourer or consumer) rather than their capacity to invest financial capital. The cooperative movement has been fueled globally by ideas of economic democracy. Economic democracy is a socioeconomic philosophy that suggests an expansion of decision-making power from a small minority of corporate shareholders to a larger majority of public stakeholders. There are many different approaches to thinking about and building economic democracy. Both Marxism and anarchism, for example, have been influenced by utopian socialism, which was based on voluntary cooperation, without recognition of class conflict. Anarchists are committed to libertarian socialism and they have focused on local organization, including locally managed cooperatives, linked through confederations of unions, cooperatives and communities. Marxists, who as socialists have likewise held and worked for the goal of democratizing productive and reproductive relationships, often placed a greater strategic emphasis on confronting the larger scales of human organization. As they viewed the capitalist class to be prohibitively politically, militarily and culturally mobilized in order to maintain an exploitable working class, they fought in the early 20th century to appropriate from the capitalist class the society's collective political capacity in the form of the state, either through democratic socialism, or through what came to be known as Leninism. Though they regard the state as an unnecessarily oppressive institution, Marxists considered appropriating national and international-scale capitalist institutions and resources (such as the state) to be an important first pillar in creating conditions favorable to solidaristic economies. With the declining influence of the USSR after the 1960s, socialist strategies pluralized, though economic democratizers have not as yet established a fundamental challenge to the hegemony of global neoliberal capitalism. neither of which may be allowed under local laws for cooperatives. Cooperatives often share their earnings with the membership as dividends, which are divided among the members according to their participation in the enterprise, such as patronage, instead of according to the value of their capital shareholdings (as is done by a joint stock company). If cooperatives/mutuals succeed, that success may reflect not the characteristics of the cooperative/mutual form itself but the existence of a long term regulated competitive environment that created the space and margins which allowed them to adopt welfare objectives different from those of profit maximising competitors. Llewellyn and Holmes (1991) argue that, in the absence of a clear efficiency advantage, mutual building societies, for example, would need to behave in a manner substantially similar to banks and mutual life insurers similarly to Plc life insurers: "Only if mutuals have a substantial efficiency advantage compared with their Plc competitors are they able to set objectives significantly different from their Plc competitors. In the absence of this, competitive pressures force a convergence of behaviour and remove the major behavioural distinctions between mutuality and Plc's". From this point of view, competition and narrow margins are inimical to the mutual form because they erode behavioural difference. These issues are complicated in the case of UK building societies and mutual life insurers because they require judgement about whether they really have behaved differently in these two areas. If banks may be different from building societies, that may not be so in the case of, for example, the UK Plc 'Prudential' life insurer and its mutual competitors. But, what is clear is that building societies (like mutual life insurers) have operated in regulated areas where returns on capital are high, so that mutuals can choose different objectives. This discretion, of course, greatly complicates outcomes because mutuals can set objectives in terms of prices received or paid or in terms of market access to those who would be denied access or disadvantaged by other providers. There is also the complication that if (as in the case of building societies in the late-1980's), mutuals dominate the field, the behaviour of non-mutual competitors has to be conjectured. Consumer attitudes and behaviour are also relevant when competition is weak. Consumers may prefer cooperatives/mutuals like building societies if they fear that surplus distributing banks might try to 'rip them off.' The point is made in the building society mutual context by Armitage (1991) in the following terms: "In theory, in a free market with well-informed participants, competition ensures competing services are priced according to their value to the consumer; if not they do not sell. Therefore, consumers are never 'ripped off'. However to the extent that a market is less than competitive in this sense, sellers have opportunities for exploiting customers., which their duty to shareholders should oblige them to take if they are companies, and their duty to members should oblige them not to take if they are mutuals. The mortgage and deposit markets are competitive, but not perfectly so. In particular, customers have incomplete information and face search costs. So there is scope for institutional policies to make a difference to customers' welfare without always paying or gaining in terms of loss or gain of custom". The fact that most small depositors are ill-informed (as building society depositors certainly were) may also explain the importance of mutuals in the savings markets. The Uninformed Depositor Model of Rasmusen (1988) does appear to offer explanation for why small savers prefer mutuals. In banking markets, there is usually information asymmetry whereby managers are relatively informed as to risk, such as asset risk and maturity transformation/interest yield mismatch risk, and depositors are left relatively ignorant. In this case, the cost of virtually any monitoring by small savers is practically unsustainable. The 'free rider' effect in building societies is a manifestation of this kind of unsustainable monitoring cost where the cost of meaningful involvement in building society affairs (even attendance at the annual meeting) really quite outweighs benefits to be obtained through involvement, as Ingham and Thompson 4 point out. In earlier times, some building societies resorted to fining members for not attending annual meetings, in order to get the members to turn out. But once the roll was checked many promptly adjourned to the nearest pub ('bar'). Under these risk-monitoring circumstances, depositors will, according to Rasmusen,3 prefer a mutual where they perceive that what they understand to be moderate or no risk attaches, due to regulation, as compared to more risky less regulated banks. Also, they may understand that managers in mutuals are less motivated to take risk, as suggested by Rasmusen (1988) below and by Masulis (1987). It could be claimed that part of the success of mutuals is due to simplified agency relationships resulting from the absence of external shareholders or to the ability to distribute surplus through product price (not 'Plc' dividend). These arguments are not conclusive, as the presence of external claimants may result in considerable pressure for cost economies, especially if there is a market for corporate control. It is doubtful that the operating cost leadership of UK building societies, which is so much a factor in the dominance of the mutual form in the savings banking and home mortgage financing market, has much to do with lower agency costs or efficiency. Before deregulation, the objective was not efficiency but growth through retained earnings which was in the management interest; and the finance directors attributed their funding cost advantage to the accident of mixed funding. Much of this detail may not matter to an uninformed depositor. As Rasmusen (1988) observes: "In the Uninformed Depositor Model the depositor does not have to distinguish motives: the advantage of the mutual is that the interests of depositors and managers roughly coincide, and whether managers are conservative to protect their perks or their depositors is a minor point". Masulis (1987) also refers to the motivations of managers in relation to risk in the following terms with reference to American style mutual savings and loan banks where his references to 'owners' and boards of directors, in the MS&L [mutual savings and loan] context, are references to management: "Since MS&L owners (boards of directors) are only able to extract a portion of a S&L's current and accumulated earnings [through salary and perks], they have less incentive to take risks than the owners of stock companies [e.g. Plc banks] who can capture the entire stream of accumulated and expected future profits by selling their stock. Cooperatives are based on the cooperative values of "self-help, self-responsibility, democracy and equality, equity and solidarity" and the seven cooperative principles. In the tradition of their founders, cooperative members believe in the ethical values of honesty, openness, social responsibility and caring for others. Such legal entities have a range of unique social characteristics. Membership is open, meaning that anyone who satisfies certain non-discriminatory conditions may join. Economic benefits are distributed proportionally according to each member's level of participation in the cooperative, for instance by a dividend on sales or purchases, rather than divided according to capital invested. Cooperatives may be generally classified as either consumer cooperatives or producer cooperatives. Cooperatives are closely related to collectives, which differ only in that profit-making or economic stability is placed secondary to adherence to social-justice principles. Co-ops can sometimes be identified on the Internet through the use of the .coop gTLD. Organizations using .coop domain names must adhere to the basic co-op values. A retailers' cooperative (known as a secondary or marketing cooperative in some countries) is an organization which employs economies of scale on behalf of its members to get discounts from manufacturers and to pool marketing. It is common for locally owned grocery stores, hardware stores and pharmacies. In this case the members of the cooperative are businesses rather than individuals. A worker cooperative or producer cooperative is a cooperative, that is owned and democratically controlled by its "worker-owners". There are no outside owners in a "pure" workers' cooperative, only the workers own shares of the business, though hybrid forms in which consumers, community members or capitalist investors also own some shares. In practice, control by worker-owners may be exercised through individual, collective or majority ownership by the workforce, or the retention of individual, collective or majority voting rights (exercised on a one-member one-vote basis). A worker cooperative, therefore, has the characteristic that the majority of its workforce owns shares, and the majority of shares are owned by the workforce. Membership is not always compulsory for employees, but generally only employees can become members either directly (as shareholders) or indirectly through membership of a trust that owns the company. Spanish law permits owner-members to register as self-employed enabling worker-owners to establish regulatory regimes that support cooperative working, but which differs considerably from cooperatives that are subject to Anglo-American systems of law that require the cooperative (employer) to view (and treat) its worker-members as salaried workers (employees). The implications of this are far-reaching, as this requires cooperatives to establish authority driven statutory disciplinary and grievance procedures (rather than democratic mediation schemes), impacting on the ability of leaders to enact democratic forms of management and counter the authority structures embedded in the dominant system of private enterprise centred around the entrepreneur. those of type B integrate disadvantaged people into the labour market. The categories of disadvantage they target may include physical and mental disability, drug and alcohol addiction, developmental disorders and problems with the law. They do not include other factors of disadvantage such as race, sexual orientation or abuse. A good estimate of the current size of the social cooperative sector in Italy is given by updating the official Istituto Nazionale di Statistica (Istat) figures from the end of 2001 by an annual growth rate of 10% (assumed by the Direzione Generale per gli Ente Cooperativi). This gives totals of 7,100 social cooperatives, with 267,000 members, 223,000 paid employees, 31,000 volunteers and 24,000 disadvantaged people undergoing integration. Combined turnover is around 5 billion euro. The cooperatives break into three types: 59% type A (social and health services), 33% type B (work integration) and 8% mixed. The average size is 30 workers. A consumers' cooperative is a business owned by its customers. Employees can also generally become members. Members vote on major decisions and elect the board of directors from amongst their own number. The first of these was set up in 1844 in the North-West of England by 28 weavers who wanted to sell food at a lower price than the local shops. A well known example in the United States is the REI (Recreational Equipment Incorporated) co-op, and in Canada: Mountain Equipment Co-op. With its 414,383 employees, 7,736,210 members and a turnover of €50Bn per year growing at a steady rate of 4.41%, Legacoop of Italy is arguably the world's biggest cooperative. The world's largest consumers' cooperative is the Co-operative Group in the United Kingdom, which offers a variety of retail and financial services. The UK also has a number of autonomous consumers' cooperative societies, such as the East of England Co-operative Society and Midcounties Co-operative. In fact, the Co-operative Group is something of a hybrid, having both corporate members (mostly other consumers' cooperatives, as a result of its origins as a wholesale society), and individual retail consumer members. Japan has a very large and well developed consumer cooperative movement with over 14 million members; retail co-ops alone had a combined turnover of 2.519 trillion Yen (21.184 billion US dollars [market exchange rates as of 15 November 2005]) in 2003/4. (Japanese Consumers' Co-operative Union., 2003). Coop is another Swiss cooperative which operates the second largest supermarket chain in Switzerland after Migros. In 2001, Coop merged with 11 cooperative federations which had been its main suppliers for over 100 years. As of 2005, Coop operates 1,437 shops and employs almost 45,000 people. According to Bio Suisse, the Swiss organic producers' association, Coop accounts for half of all the organic food sold in Switzerland. Like other business creation support schemes, BECs enable budding entrepreneurs to experiment with their business idea while benefiting from a secure income. The innovation BECs introduce is that once the business is established the entrepreneur is not forced to leave and set up independently, but can stay and become a full member of the cooperative. The micro-enterprises then combine to form one multi-activity enterprise whose members provide a mutually supportive environment for each other. New generation cooperatives (NGCs) are an adaptation of traditional cooperative structures to modern, capital intensive industries. They are sometimes described as a hybrid between traditional co-ops and limited liability companies. They were first developed in California and spread and flourished in the US Mid-West in the 1990s. They are now common in Canada where they operate primarily in agriculture and food services, where their primary purpose is to add value to primary products. For example producing ethanol from corn, pasta from durum wheat, or gourmet cheese from goat’s milk. Co-op City in New York is the largest cooperative housing development in the world with 55,000 people. Group equity or Zero equity housing cooperatives do not allow members to own equity in their residences and often have rental agreements well below market rates. Members of a building cooperative (in Britain known as a self-build housing cooperative) pool resources to build housing, normally using a high proportion of their own labour. When the building is finished, each member is the sole owner of a homestead, and the cooperative may be dissolved. Grain elevators are used by agricultural cooperatives in the storage and shipping of grains. Agricultural cooperatives or farmers' cooperatives are cooperatives where farmers pool their resources for mutual economic benefit. Agricultural cooperatives are broadly divided into agricultural service cooperatives, which provide various services to their individual farming members, and agricultural production cooperatives, where production resources such as land or machinery are pooled and members farm jointly. Agricultural production cooperatives are relatively rare in the world, and known examples are limited to collective farms in former socialist countries and the kibbutzim in Israel. Agricultural supply cooperatives aggregate purchases, storage, and distribution of farm inputs for their members. By taking advantage of volume discounts and utilizing other economies of scale, supply cooperatives bring down members' costs. Supply cooperatives may provide seeds, fertilizers, chemicals, fuel, and farm machinery. Some supply cooperatives also operate machinery pools that provide mechanical field services (e.g., plowing, harvesting) to their members. Agricultural marketing cooperatives provide the services involved in moving a product from the point of production to the point of consumption. Agricultural marketing includes a series of inter-connected activities involving planning production, growing and harvesting, grading, packing, transport, storage, food processing, distribution and sale. Agricultural marketing cooperatives are often formed to promote specific commodities. Credit unions originated in mid-19th century Germany through the efforts of pioneers Franz Hermann Schulze-Delitzsch and Friedrich Wilhelm Raiffeisen. The concept of financial cooperatives crossed the Atlantic at the turn of the 20th century, when the caisse populaire movement was started by Alphonse Desjardins in Quebec, Canada. In 1900, from his home in Lévis, he opened North America's first credit union, marking the beginning of the Mouvement Desjardins. Eight years later, Desjardins provided guidance for the first credit union in the United States, where there are now about 7,950 active status federally insured credit unions, with almost 90 million members and more than $679 billion on deposit. While they have not taken root so deeply as in Ireland, credit unions are also established in the UK. The largest are work-based, but many are now offering services in the wider community. The Association of British Credit Unions Ltd (ABCUL) represents the majority of British Credit Unions. British Building Societies developed into general-purpose savings & banking institutions with "one member, one vote" ownership and can be seen as a form of financial cooperative (although nine 'de-mutualised' into conventionally owned banks in the 1980s & 1990s). The UK Co-operative Group includes both an insurance provider CIS and the Co-operative Bank, both noted for promoting ethical investment. Cooperative banking networks, which were nationalized in Eastern Europe, work now as real cooperative institutions. A remarkable development has taken place in Poland, where the SKOK (Spóldzielcze Kasy Oszczednosciowo-Kredytowe) network has grown to serve over 1 million members via 13,000 branches, and is larger than the country’s largest conventional bank. In some cases, cooperative societies find it advantageous to form cooperative federations in which all of the members are themselves cooperatives. Historically, these have predominantly come in the form of cooperative wholesale societies, and cooperative unions. Cooperative federations are a means through which cooperative societies can fulfill the sixth Rochdale Principle, cooperation among cooperatives, with the ICA noting that "Cooperatives serve their members most effectively and strengthen the cooperative movement by working together through local, national, regional and international structures." A second common form of cooperative federation is a cooperative union, whose objective (according to Gide) is “to develop the spirit of solidarity among societies and... in a word, to exercise the functions of a government whose authority, it is needless to say, is purely moral.” Co-operatives UK and the International Cooperative Alliance are examples of such arrangements. In some countries with a strong cooperative sector, such as the UK, cooperatives may find it advantageous to form a parliamentary political party to represent their interests. The British Cooperative Party and the Canadian Cooperative Commonwealth Federation are prime examples of such arrangements. The British cooperative movement formed the Cooperative Party in the early 20th century to represent members of consumers' cooperatives in Parliament. The Cooperative Party now has a permanent electoral pact with the Labour Party, and has 29 members of parliament who were elected at the 2005 general election as Labour Cooperative MPs. UK cooperatives retain a significant market share in food retail, insurance, banking, funeral services, and the travel industry in many parts of the country. ^ O'Sullivan, Arthur; Steven M. Sheffrin (2003). Economics: Principles in action. Upper Saddle River, New Jersey 07458: Pearson Prentice Hall. p. 202. ISBN 0-13-063085-3. ^ a b Ridley-Duff, R. J. (2007) “Communitarian Perspectives on Social Enterprise”, Corporate Governance: An International Review, 15(2):382-392. ^ Brown, J. (2006), “Designing Equity Finance for Social Enterprises”, Social Enterprise Journal, 2(1): 73 81. ^ Monzon, J. L. & Chaves, R. (2008) “The European Social Economy: Concept and Dimensions of the Third Sector”, Annals of Public and Cooperative Economics, 79(3/4): 549-577. ^ Weinbren, D. & James, B. (2005) “Getting a Grip: the Roles of Friendly Societies in Australia and Britain Reappraised”, Labour History, Vol. 88. ^ Ridley-Duff, R. J. (2008) “Social Enterprise as a Socially Rational Business”, International Journal of Entrepreneurial Behaviour and Research, 14(5): 291-312. ^ ICA (2005) World Declaration on Worker Cooperatives, Approved by the ICA General Assembly in Cartagena, Columbia, 23rd September 2005. ^ Slaney's Act and the Christian Sociliasts: A Study of How the Industrial and Provident societies' Act 1852 was passed. ^ The Cooperative Review. [dead link] Co-operatives UK. ^ Oakeshott, R. (1990) The Case for Worker Co-ops (2nd Edition), Basingstoke: Macmillan. ^ Ridley-Duff, R. J. (2008) Mediation: Developing a Theoretical Framework for Understanding Alternative Dispute Resolution, Centre for Individual and Organisational Development, Sheffield Hallam University, published at www.roryridleyduff.com/writingacademic.htm. ^ About Cooperatives: Utility Cooperatives. National Cooperative Business Association. ^ Desjardins: a model for the rest of Canada? (Quebec's Desjardins caisses populaires). Canadian Banker. 1 January 1999. 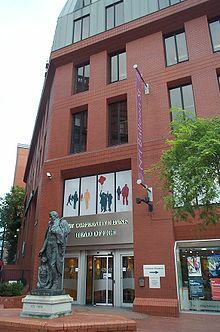 ^ Birthplace of America's Credit Union Movement. America's Credit Union Museum. ^ "History of Credit Unions". National Credit Union Administration. http://www.ncua.gov/About/History.aspx. Retrieved December 27, 2010. Isao Takamura (1995). Japan: Consumer Co-op Movement in Japan. http://uwcc.wisc.edu/icic/today/consumer/move.html. "Consider the Collective: More than business as usual" by John Emerson, 2005. Article on graphic design and printing cooperatives. Cooperative Social Enterprises: Company Rules, Access to Finance and Management Practice in the Social Enterprise Journal, Vol. 5., Issue, 1 by Rory Ridley-Duff, 2009. Developing Successful Worker Co-ops, London: Sage Publications by Cornforth, C. J., Thomas, A., Spear, R. G. & Lewis, J. M., 1988. Reluctant Entrepreneurs, Open University Press by Paton, R., 1989. The National Co-operative Archive – holds records relating to all aspects of the co-operative movement. This page was last modified on 4 May 2011 at 10:19.